So, this week has been spring break for my oldest daughter. My younger ones are in a different school district so they won't have spring break for a few more weeks. This schedule is good and bad. It's bad because it means no big family vacation but the good is that I get to set aside time with my kids that is very individual and I really love our time together. Miss M and I have had a great week and have done quite a bit. Last night she and I were watching back episodes of Cake Boss together. Ummm, that was probably a bad idea because we started thinking we could conquer the world with our mad cake decorating skillz. If they can do it on t.v. how hard can it be, right?! We probably should have known better. However, we woke up and still had visions of fondant dancing in our heads. So, we put on our best New Jersey accents and tackled a project together anyway. It was not all in vain though, we have a mutual friend that had a birthday today and so we concentrated our efforts for her benefit. 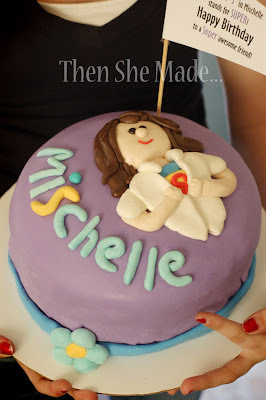 Our friend, Mischelle, spelled with an "s", is an awesome person. She has reached out to my Miss M and has been a really great example to her. She genuinely cares about my daughter and constantly gives her encouragement and support. And, honestly, when you are raising a teenage daughter having a friend like that can make all the difference in the world. So, in order to honor our friend, we decided to make her a cake. We started with a Chocolate Fudge 3 tiered delight - perhaps we should have stopped there because it looked really good even in it's plainness. I added a little dry chocolate pudding to the mix. Not sure it made a difference but I felt like it made it fancier, you know, like on Cake Boss. They do fancy things on that show too. Then we started by making several batches of marshmallow fondant. 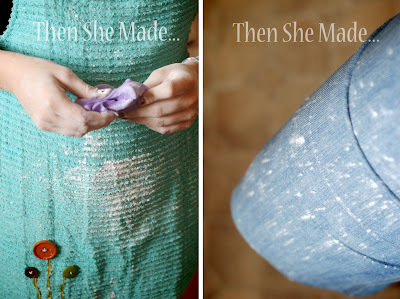 My Miss M was really good with powder sugar. In fact, she was so good with it, it ended up on the walls, in our phone, on the floor and oh ya, ALL.OVER.ME! We laughed a lot about that. After the Fondant was done we started on the decorating process. 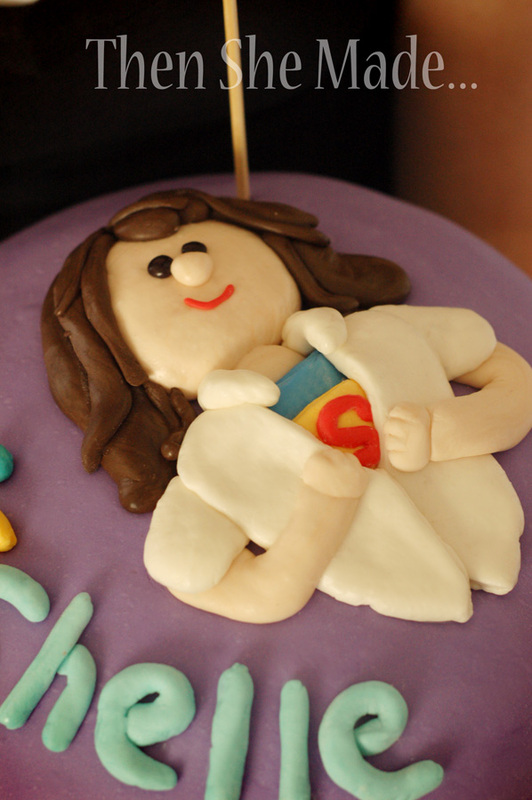 We made a Super girl. Because, well, that's what we both think Mischelle is. She has 5 kids under the age of 6 and basically has it all together plus still reaches out to help others - yep, pretty super indeed! And, we focused on the "s" because she has commented to us before about that "s". "Who spells Mischelle with an S?" Her mom did and think that was smart because "S" stands for super. When the decorating was done made this little flag to tie it all together. 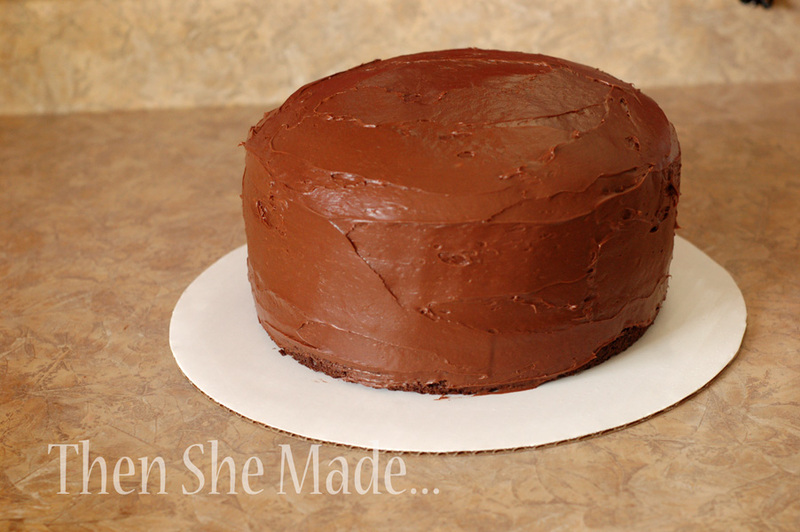 Then we stuck it in the cake and made our delivery. So, Cake Boss we are not but that doesn't matter. As a mother and daughter team we had a great afternoon together and just enjoyed the process. Oh, and Mischelle with an "s" seemed to like her surprise so that was good too. Tomorrow is St. Patrick's day - I wish you all a very Lucky day! And, in case you are wondering, March's Nativity Club piece will be posted soon. I think your cake is awesome!! You guys did a great job. And I must second Bluefunk and say that marshmallow fondant is soo incredibly hard to work with. Great cake! I have a cousin who's name is Michaelle. 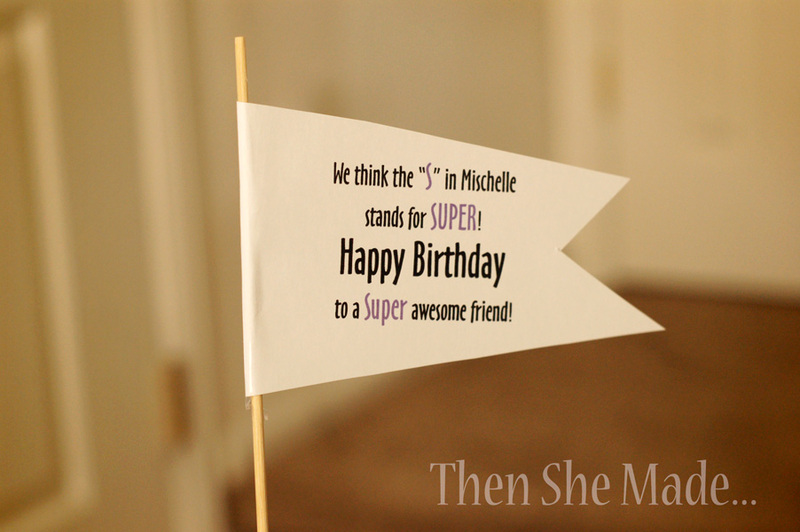 We always figured my aunt didn't know how to spell Michelle! darling cake. and cake boss is soooo ridiculous--they'd have a sugar mess just to show stupidity--sounds like little miss was being creative like her momma!! I am in awe...you two make a great baking team! Really cute cake and I can't wait for the next nativity piece! Oh my gosh that cake is adorable! I'm sure your friend loved it WAY more than anything the Cake Boss could have put together. So cute!! !